- No other fees to pay! Our Legionella Testing Kits provide you with specialist water sample bottles and clear instructions for their use. Once you have completed the instructions (should take 5-10 minutes) you contact us and we will arrange collection of the samples by courier for FREE - commercial properties only (residential properties are FREE postal return only). The samples are then tested in our Laboratory and, if all clear, a Certificate is issued to you. From collection of the samples to the issue of a certificate takes approximately 14 days. If Legionella bacteria is found in your samples we will contact you discreetly to inform you. In these circumstances we can advise you on the best course of action and arrange if necessary. The number of sample bottles required in your Kit depends on the number of hot water outlets (hot taps/shower heads) you have in your premises/property. All you have to do is count the number of hot water outlets you have and enter it in the 'Number of hot water outlets' field above and click the Calculate button. Our website will automatically calculate the number of sample bottles you require in your kit. 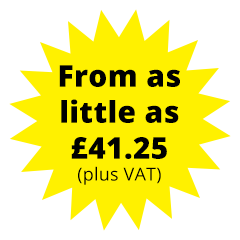 We recommend sampling 50% of the number of hot water outlets in your premises/property and our website calculation is based on this formula rounding up to the nearest bottle. Each sample bottle is designed to contain a maximum of 4 hot water outlet samples (e.g. 4 hot taps). An example; should you calculate you have 9 hot water outlets in your premises/property we recommend you sample 5 outlets (we round up) and will, therefore, send you 2 sample bottles in your Kit. You can get 4 water samples in 1 bottle and 1 water sample in the other bottle - a total of 5. All sample bottles MUST be filled to the top.